So that’s the Group Stages over – if we’re all honest the tournament is yet to really hit top gear with some very cagey opening fixtures. However, you can’t blame certain sides as the pressure to get out of the group stages and not to do anything silly is huge. Therefore, as we enter the knockout phase of Euro2016 there is a good chance the matches will be better with teams in losing positions taking more risks – you might as well lose 4-0 and have a go, rather than lose 1-0 and not take a few chances along the way. Suspensions, injuries and sides getting the full use out of their squads will also come into play with these next matches coming thick-and-fast now. So to help you along the way through the tournament, and to keep you prepared for each game, here at RacingTraders we’ve taken a ‘quick-fire’ look at each ‘Knockout Stage’ game from a HEAD-TO-HEAD angle. (Note, we’ll be adding in the Qtr-finals, Semi-finals and Final to this piece). 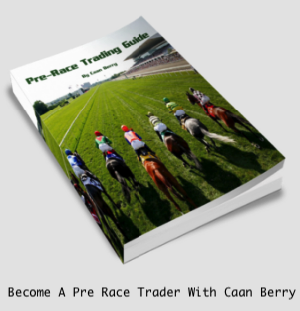 You’ll see below that there are some ‘standout stats’ when certain sides have met in the past and hopefully these will give you a few different betting angles to take into each game – plus we’ll also give you our RacingTraders best bet. Racing Traders are the authors of BetTrader, the most innovative and intuitive Betfair trading platform on the market today. It is a browser-based software application that displays live-updating Betfair markets in your internet browser, allowing you to place bets faster and more effectively than is possible with the Betfair website. Streamlined bet submission processes allow you to place bets with fewer mouse clicks and less mouse movement. Extensive trading tools can also place bets for you automatically when predetermined conditions are met.